After passing through immigration in Dublin at 10:00 AM, we begin our adventure! We will meet you in the Arrivals Hall under the big yellow sculpture, before departing on our 1-hour trip to Glendalough where we will be based for two nights. After checking into our hotel (which by the way, we will have completely to ourselves!) 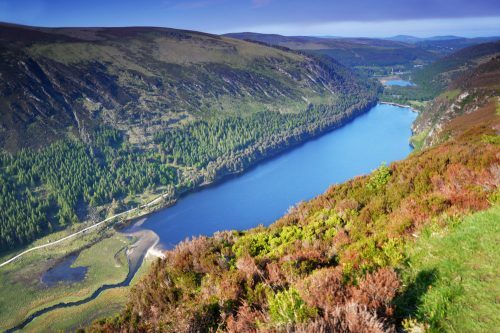 we will set out to make our first connection with the magnificent landscape of Glendalough. cklow Mountains. For thousands of years people have been drawn to this ancient monastic site, to experience it’s great natural beauty and serenity. 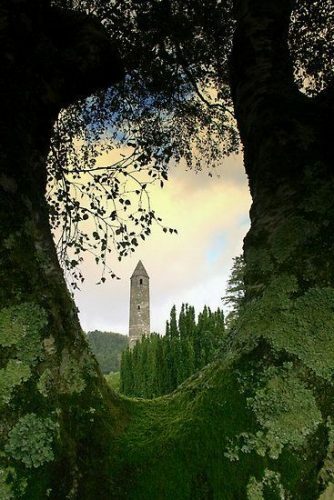 Spiritually, Glendalough represents the perfect balance between the Divine Masculine and the Divine Feminine. It is a place where one can truly connect with the beauty of the heart. Legend has it that St. Kevin was one of Merlin the Magician’s teachers, and that the monastery at one time housed the Holy Grail. 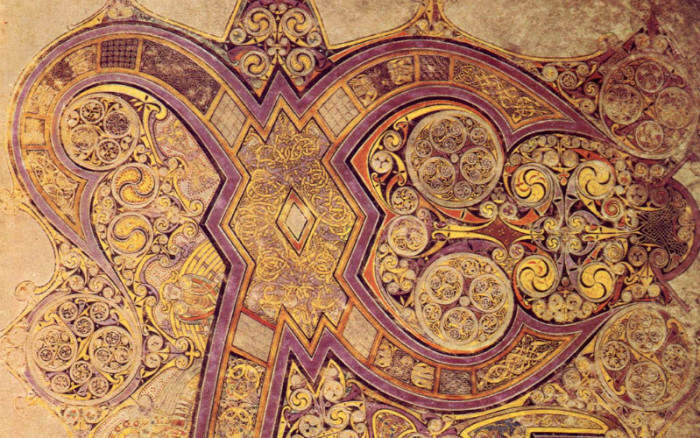 Markings in the shape of the Grail can be seen at the entrance, and on the immense, famous St. Kevin’s cross. This massive slab of granite carved around 1150 A.D. is the Celtic form of a cross – a cross superimposed on a wheel representing the four directions and the cosmos. The monastic city of Glendalough comprises several churches, a spectacular round tower and early Celtic cross, most of which were built in the 12th century. 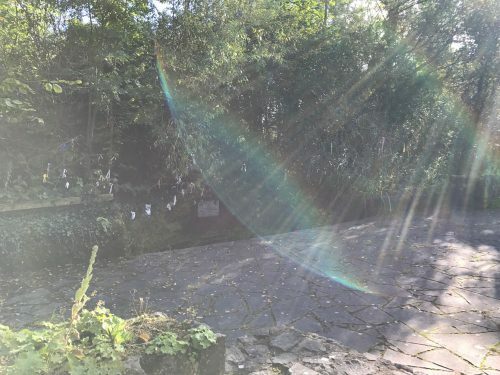 The photos below taken on our 2017 Tour, provide visual evidence of the powerful inter-dimensional portal present at St Mary’s Church, where a beam of celestial Light, reached down from above to touch all who entered through the church doorway. The main ancient gateway to the monastery complex, displayed similar phenomena. With its double arches, this gateway has the distinction of being the only surviving entrance to an early ecclesiastical settlement. 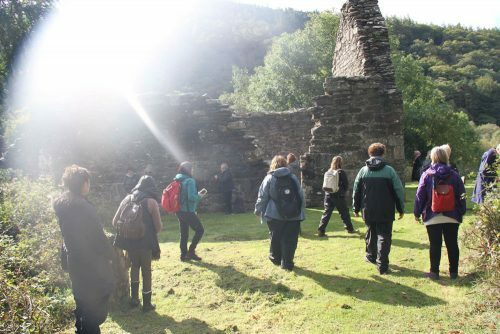 We will explore the legends as well as the ruins, as we take time to walk in the natural woodland surrounding this spiritual retreat. Glendalough is also home to the Irish Faerie folk, the Sidhe, and their presence is tangible! They will be sure to touch our hearts with lightness and joy as we immerse ourselves in this place of sacred balance and awareness. 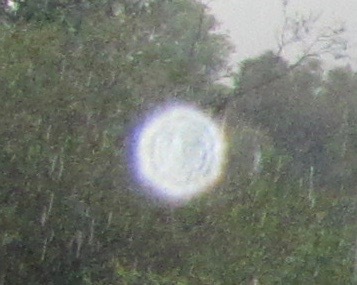 Many incredible Light Orb photos taken on our 2017 ‘Mystical Ireland’ journey, capture some of that Faerie magic! There is so much to discover in this picturesque valley during our two days. Apart from the main complex, there is Trinity Church, Saint Mary’s Church, Reffert Church, the Green Road, Saint Kevin’s Cell, St. Kevins Well, the Green Mile, lakes, streams and much, much more. 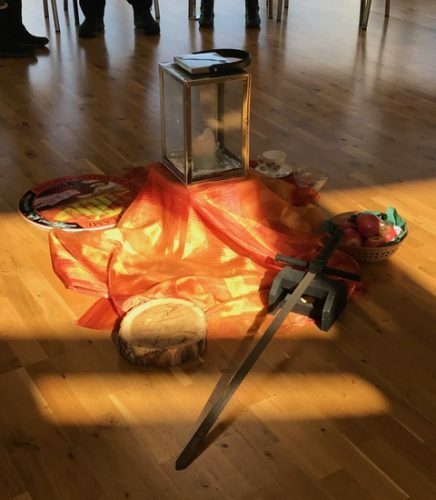 Our time in Glendalough will encompass group ceremony and meditation, as well as space for individual reflection and integration. Glendalough is a remarkable place that will still your mind, inspire your heart, and fill your soul. At 9.00am we depart Glendalough for Sligo in the North West. On our way we will visit the magnificent megalithic site of Loughcrew Cairns in Co Meath. Also known as Slive Na Callaigh, or the Hill of the Witch. 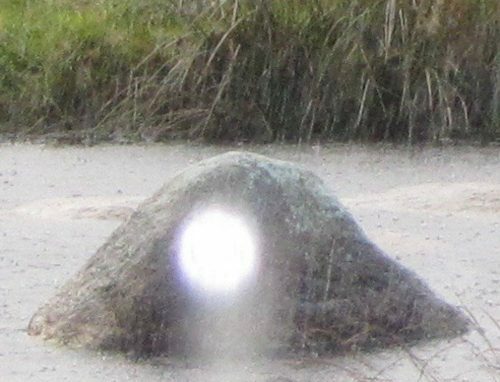 Legend has it that An Cailleach Bhéara, the Hag of Beare, attempted to drop an apron full of stones on each of the three Loughcrew peaks, jumping from one to the next. 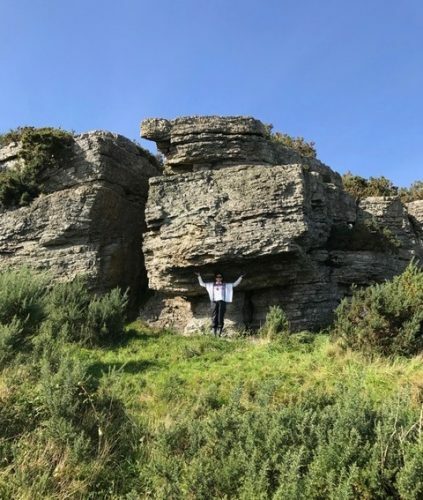 Her efforts resulted in the three hills being crowned with a wonderful assortment of at least 35 stone structures now called cairns or passage chambers which were built around 5,500 years ago during the Neolithic Period. Loughcrew could be said to be the best-kept archaeological secret of Ireland. 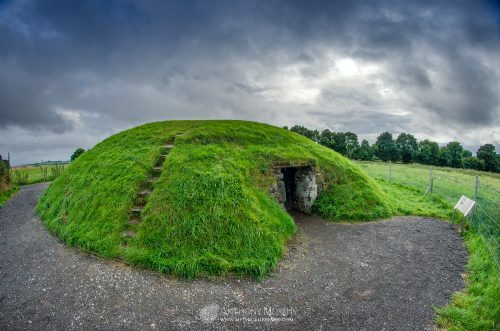 In a landscape of inspiring beauty, the cairns originally built in about 4000 BC, form the largest complex of passage graves in Ireland, much older than the better-known Newgrange. The illumination of the passage and chamber of Newgrange at the Winter Solstice sunrise is world famous. Less well known is the Equinox Illumination at sunrise in Cairn T at Loughcrew, when the back stone of the chamber is illuminated by a beam of light. 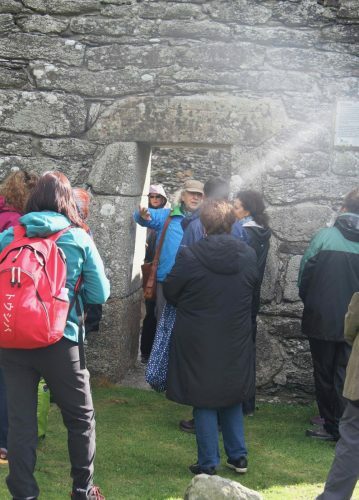 The sunlight is shaped by the stones of the entrance and passage, and descends the back stone while moving from left to the right illuminating the solar symbols. 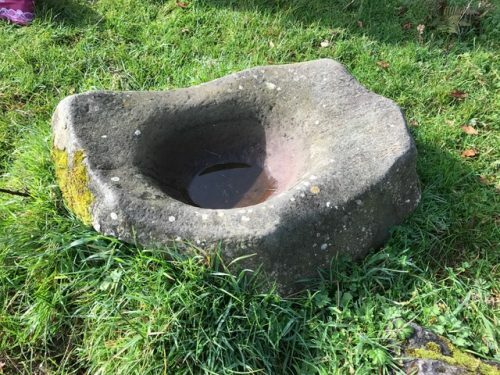 Another intriguing features of Loughcrew is a large stone chair known by various names; ‘The Hag’s Chair’, ‘Chair of the Witch’, ‘the Chair of Queen Tailtiu’ and ‘Queen Maeve’s Chair’. You will have an opportunity to sit on this giant chair to receive your personal message from Queen Maeve. Believe me, it can be a pretty awesome experience! 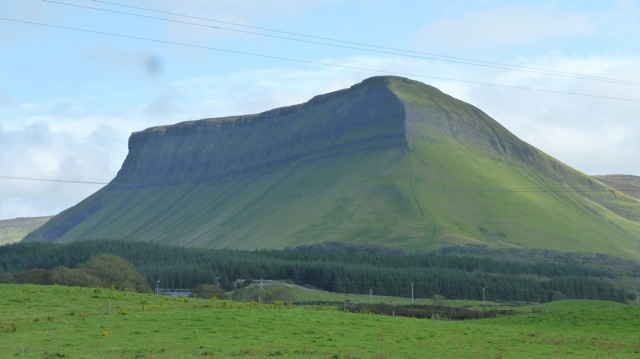 Today we wake up in Yeats Country, named after the famous Irish poet WB Yeats who is buried at the foot of the majestic Benbulben Mountain, which I’ve always thought of as Ireland’s Uluru (Ayer’s Rock). Both Uluru and Benbulben hold great significance for the original inhabitants of each respective land. Uluru remains a sacred place for Australia’s Aborigines. Benbulben too, is steeped in history and Irish folklore. 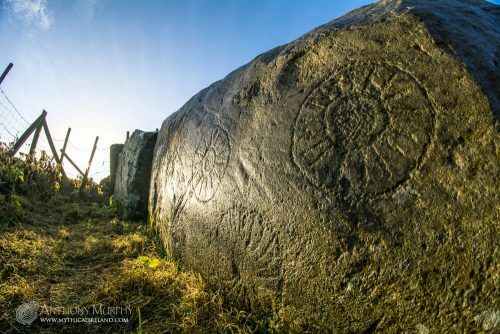 It is believed to be one of the spiritual homes of the Tuath De Danann, a pre-historic, legendary people said to have been half men, half gods, who were renowned for their knowledge of medicine, healing, and the mystical arts. At 9am we depart for Carrowmore, the largest megalithic complex in Ireland. Like many of the ancient sites of Ireland, Carrowmore is located high up in the landscape with an astounding 360 degree panoramic view of the surrounding countryside and several mountain ranges. Covering more than 1 ½ square miles, and dating back to 4000 BC, Carrowmore is the focal point of a prehistoric ritual landscape dominated by the mountain of Knocknarea to the west, which is crowned with the great Cairn of Queen Meave on top. 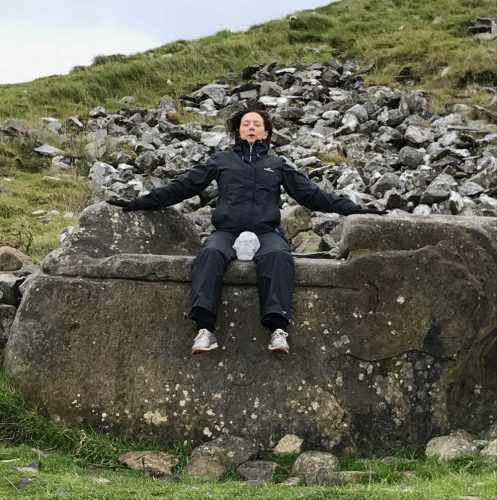 From her resting place on the 300 metre high Knockarea Mountain, Queen Maeve looks down upon an array of stone circles and remains of thirty passage cairns (many of which have a dolmen at their centre), which together form an oval shape. Inside the main cairn that dominates the site, there is a massive stone dolmen or tomb. After taking time to ‘tune into’ these landscapes that have been revered as sacred for over 5,000 years, we will depart Carrowmore for lunch at a traditional Irish Pub. A magical afternoon then awaits! 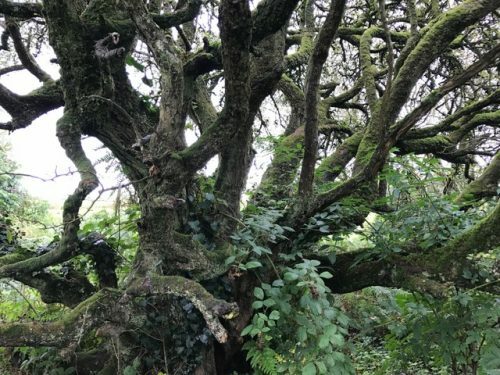 Our local magical mystery guide is deeply in tune with the natural world, with a wealth of knowledge of the folklore and legends of the Sligo area. 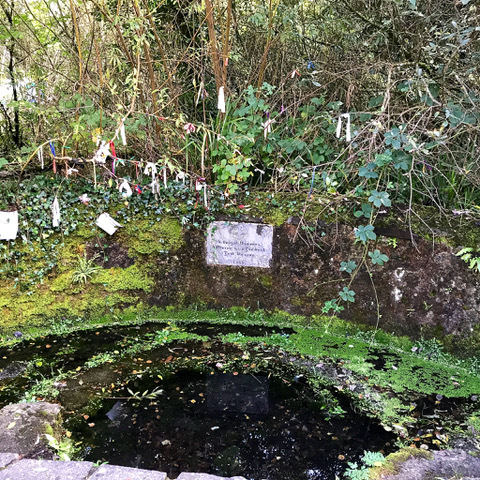 He will take us first to a beautiful Holy Well where, like so many other Holy Wells in Ireland, we will see the marriage between the ancient Druidic practices and modern day Christianity. We don’t want to give too much away about the rest of the afternoon, as we want the splendid variety of experiences we have in store for you to remain a surprise! 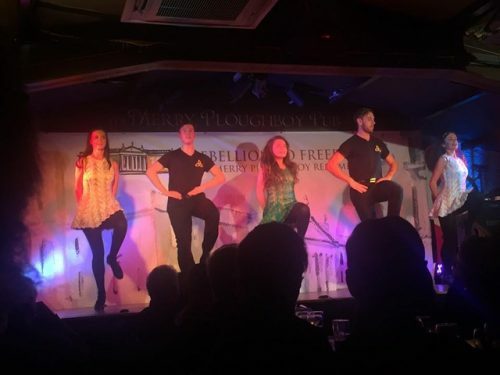 You can expect however, to be immersed in aspects of Ireland at its traditional best! It’s safe to say that you will return to our hotel in Sligo with your heart and soul filled to the very brim! Today is a very special day. It is the Autumn Equinox. We will mark this important occasion in a most fitting way by visiting not one, but two, of the six Royal Sites of Ireland. After checking out of our hotel in Sligo, we travel to Rathcroghan. The royal complex of Cruachan is the oldest and largest unexcavated Royal Complex in Europe. It contains a wealth of Mythology, Archaeology, History and Literature. 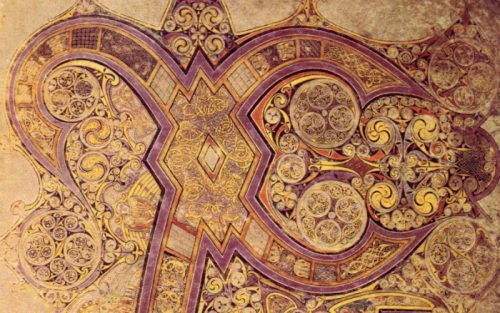 Located on the plains of Connaught in the village of Tulsk, the Rathcroghan landscape extends over six square kilometres, and consists of 240 plus archaeological sites, sixty of which are protected national monuments. 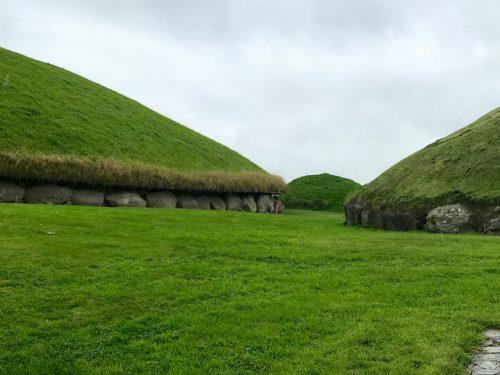 They include burial mounds, ringforts and medieval field boundaries amongst others, ranging from the Neolithic (400-2500 BC), through the Bronze and Iron ages, to the early medieval period and beyond. Rathcroghan was the home of the warrior queen, Queen Medb, who ruled all of Connacht from from this place. Uniquely, Rathcroghan possesses an entrance to the Otherworld. According to a Dindshenchas poem, Cruachan was named after Crochen, the handmaid of Elaine, a Sidhe maiden reborn as a mortal. 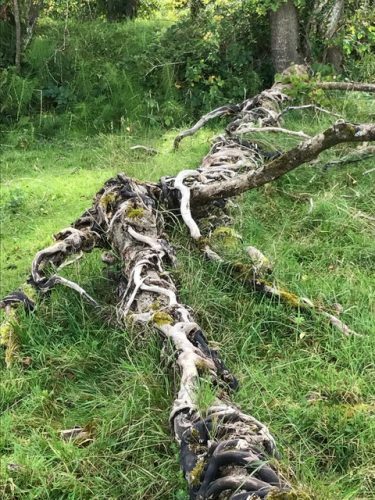 Cruachan therefore has strong associations with the Festival of Samhain, a time when Irish folklore says the prehistoric graves of the ancestors open, and the gods and spirits who dwell inside, walk the earth. From Rathcroghan, we travel to another extraordinary Royal site – The Hill of Uishneach. 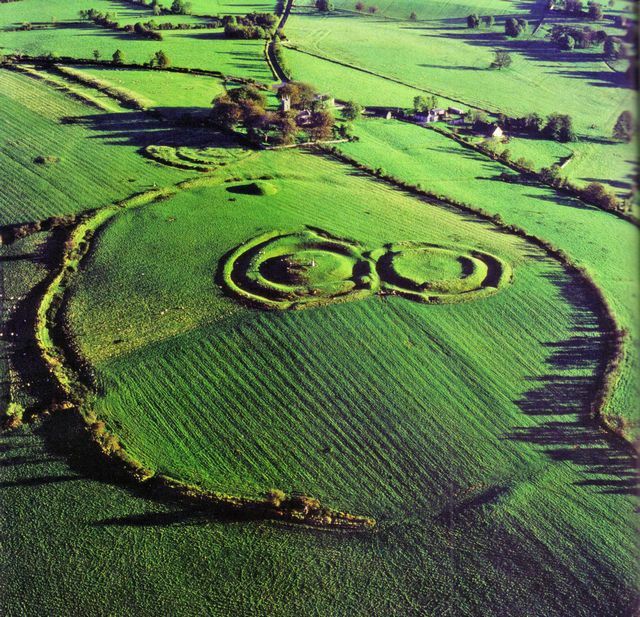 The Hill of Uisneach is the mythological and sacred centre of Ireland, also referred to as the Navel of Ireland. Hills in no less than twenty counties are visible from its summit. At the time of Celtic Festival of Bealtaine, fires lit on those hilltops would have united the provinces of Ireland in a ring around the ‘Fire-Eye’ at their centre, Uisneach. 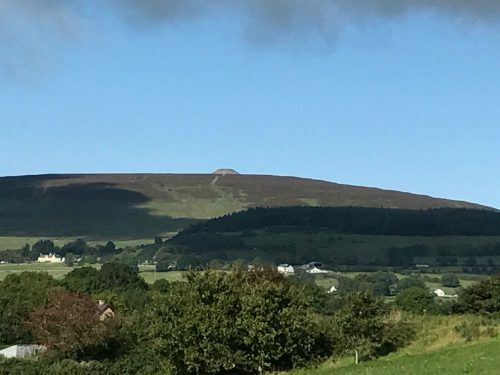 As the resting place of the Earth Goddess Eriu and the Son God Lugh, and the home of Dagda, the God and leader of the Tuath De Dannan, the Hill has been elevated to the stature of ‘sacred ground’. 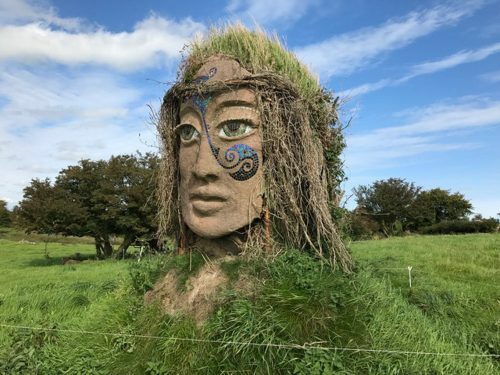 The Uisneach landscape is punctuated by huge and extraordinary sculptures depicting some of the mythological characters associated with the Royal site. Over centuries, Uisneach was seen as the gate to the mythical fifth province of Ireland, Mide, which held the four other provinces together. 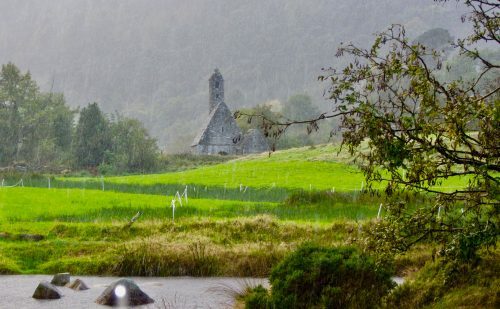 As such, it has played a part in almost every significant Irish event, be it political, cultural, religious, or mythological down through the ages, and this enigmatic Hill is acknowledged as one of the most sacred and historic sanctuaries in the world. Our Equinox ceremony will take place at the renowned he ‘Stone of Divisions’. The huge six-meter, 30-ton boulder, also known as ‘The Catstone’, symbolises Ireland united in its divisions. It is believed that under the ‘Stone of Divisions’ rests the Earth Goddess ‘Eriu’ who gave Ireland its name (Eire). The royal quality of this Equinox day continues with our arrival in Trim, renowned as one of Ireland’s most beautiful towns, and home to King Johns Castle, the largest and most impressive Norman Castle in Ireland. In modern times, Trim is famed for being the filming location in 1994, of the Oscar Award Winning Movie ‘Braveheart’ staring Mel Gibson. Our base for the next 5 nights is ‘Trim Castle Hotel’ which sits right beside, and overlooks, the truly magnificent ancient castle below. 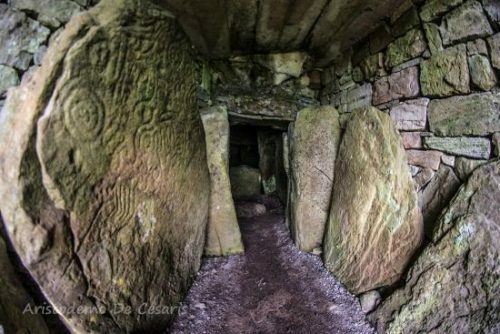 This morning we will visit the extraordinary Fourknocks Megalithic Tomb. Fourknocks is a small and beautiful 5000 year-old neolithic site, aligned with Newgrange winter solstice sunrse. The remains of four chambered cairns were found on four ‘Cnocs’ or ‘little hills’, hence the name Fourknocks. Within the main mound there is a large pear-shaped chamber, the largest one discovered so far in Ireland. This chamber has three recesses. The lintel of each recess is engraved with beautiful pieces of megalithic art. 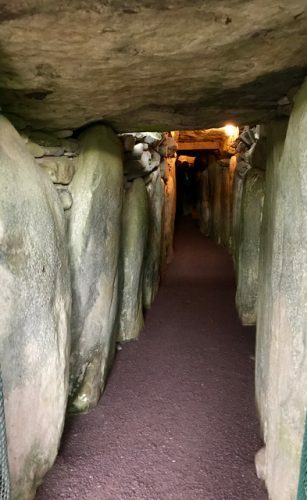 Because of its shape, the acoustics inside the passage tomb are phenomenal, making it the perfect place for a sound healing ceremony. 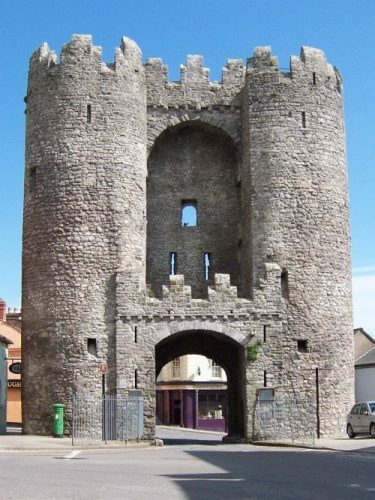 By lunchtime we will arrive at the historic walled city town of Drogheda, one of the oldest towns in Ireland, where you will have the afternoon free to explore the ancinet Norman city, relax and shop! Today we begin our experience of the incredible Bru na Boinne, one of the largest and most important prehistoric megalithic sites in Europe, declared a world heritage site by UNESCO in 1993. 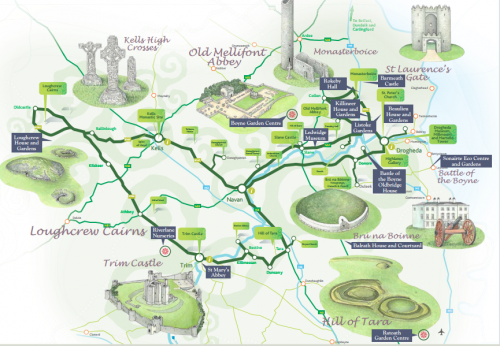 We will visit three ancient temples – Newgrange, Knowth and Dowth. 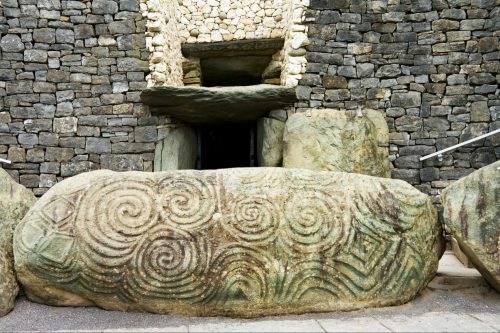 The monuments at Newgrange are more than 5000 years old, 1000 years older than Stonehenge, and 500 years older than the Pyramids in Egypt. Their uniqueness will astound you. Each temple was carefully built to align with the sun. 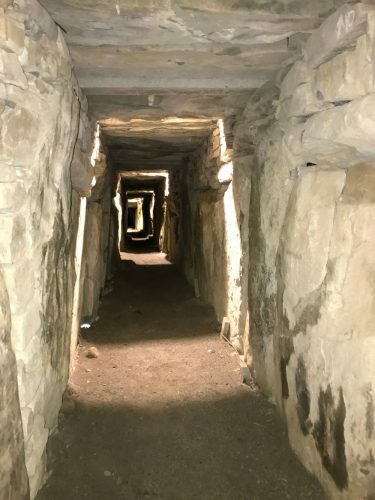 At dawn on the morning of the Winter Solstice and for a few days before and after, the main chamber at Newgrange is illuminated by a beam of sunlight for 17 minutes. It is thought that Newgrange is the oldest surviving deliberately aligned structure in the world. Some believe that these temples are remnants of the Atlantian civilization. Stephanie and I are absolutely thrilled to have secured the presence of author and researcher Anthony Murphy (above), to be our guide for this important day at Bru na Boinne. 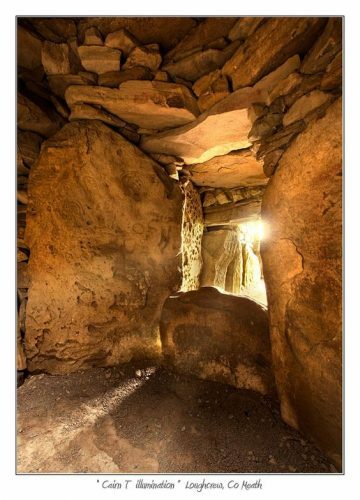 It goes without saying that his vast knowledge of Newgrange, Knowth and Dowth, can only enhance our understanding and appreciation of these incredible Neolithic Solar/Lunar temples. This day promises to be a highlight of our tour. 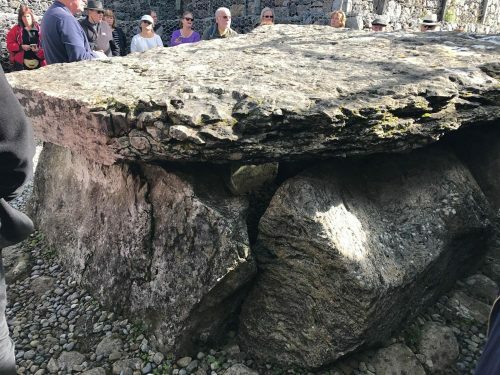 Anthony will give us insights into the enormous stones etched with ancient art that surround the ancient temples of Newgrange, Knowth and Dowth. The most famous of these stones is the one marking the entrance to Newgrange where the triple spiral, unique to this site, can be seen. On the winter solstice the sun rises in perfect alignment, to cast a beam of light down through the centre of the temple. From Newgrange we will travel on to Knowth which is comprised of one large temple surrounded by more than eighteen satellite structures. The carved stones at Knowth contain a quarter of Western European Neolithic art. Ancient kings once ruled from this site. 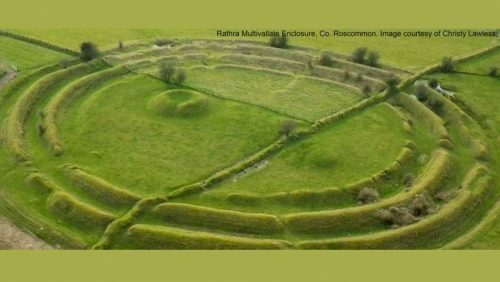 Our final stop of the morning will be Dowth, another of the Boyne Valley’s huge structures that features a passage-tomb. 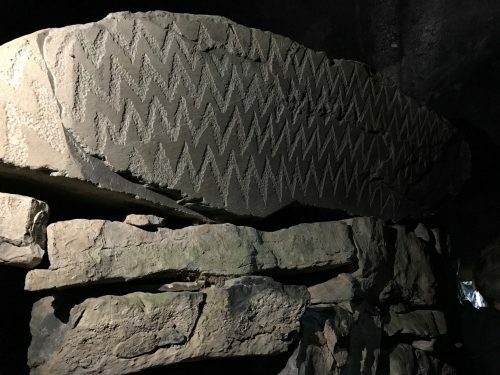 Although this site has not been restored in the same way as Newgrange or Knowth, it appears to have great astronomical significance, with sun and moon alignments that connect it to Newgrange, Tara and other sites. Here we hope to have the privacy, not available at Newgrange, to join together in ceremony. Our intention will be to harness the energy and power of the Ancient Ones who created the extraordinary Bru Na Boinne solar complex, and the Sidhe who have strong associations with Dowth, in our own quest for personal transformation. In the afternoon, we will visit the Hill of Slane where Saint Patrick lit his first Pascal Fire. Slane is an impressive and influential site steeped in myth and history. It is a site close to Anthony Murphy’s heart – one he believes to be very important. This morning we will journey to St Brigid’s of Kildare. In Irish mythology Brigid was the Celtic goddess of fire, poetry, unity, childbirth and healing. She was the daughter of Dagda a High King of the Tuath Dé Danann. 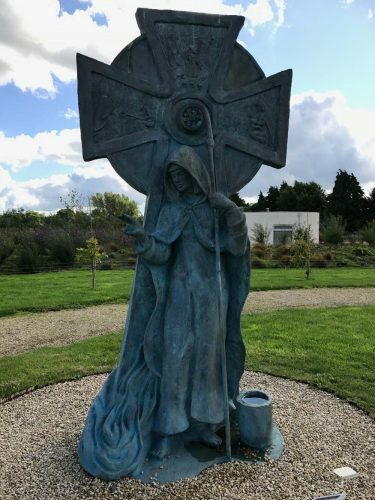 We will spend the morning at the stunning new Solas Bhride Centre, which preserves and epitomises the legacy of St Brigid in a most beautiful and welcoming way. 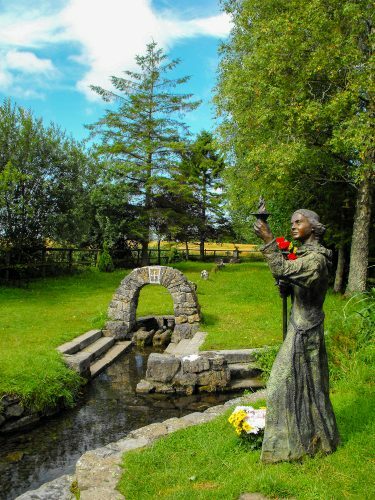 After lunch we will visit St Brigid’s Holy Well. 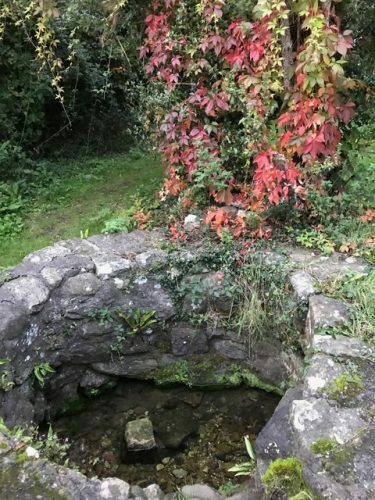 Sacred wells were always places of pilgrimage to the Celts. They would dip a clootie (piece of rag) in the well, wash their wounds and then tie the clootie to a tree – generally a Whitethorn or Ash tree – as an offering to the spirit of the well. It seems only natural that these traditions would be carried forward into modern times in the form of Saint Brigid. Lia’s photo of the same spot after our ‘Mystical Ireland’ceremony! A sacred fire burned in Kildare reaching back into pre-Christian times. 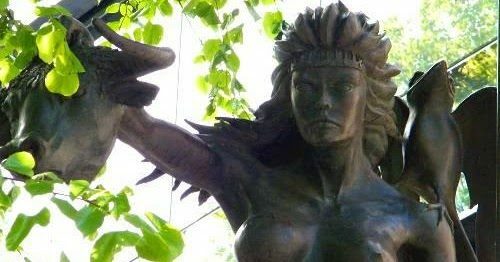 Scholars suggest that priestesses used to gather on the hill of Kildare to tend their ritual fires while invoking a goddess named Brigid, to protect their herds and to provide a fruitful harvest. Later, in Christian times, when St. Brigid built her monastery and church in Kildare she continued the custom of keeping the fire alight. For her and her nuns the fire represented the new light of Christianity, which reached Ireland’s shores early in the fifth century. It remained alight possibly up to the suppression of the monasteries in the sixteenth century, until it was snuffed out by a Norman Bishop, and then again by Henry VIII. 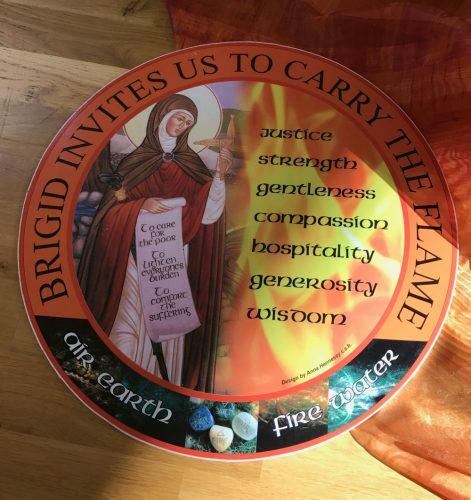 In 1993 the Brigidine Sisters symbolically re-lit the flame of Saint Brigid and since then, an eternal flame has been kept lit in perpetuity in the heart of Kildare. Ireland is a country where the energy of the Divine Feminine can be felt wherever you go. The figures of Goddess Brigid, and later St Brigid, personify the ever present, creative and nurturing force of the Universal Mother. It is a fire that has burned bright throughout the ages, and can never been extinguished. What better place for us access the balancing qualities of the Divine Feminine within ourselves. Today is another special day. At 9.30am we will leave Trim to meet up again with author and Bru na Boinne expert Anthony Murphy. Tara is one of the largest Celtic monuments in Europe, a place steeped in spirituality and mythology. It was thought to be an entrance place to the otherworld of eternal joy and plenty where no mortal ever grew old. 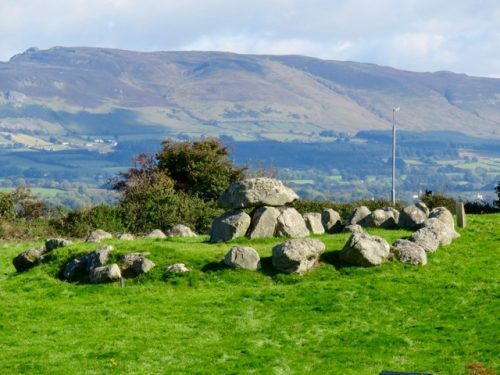 Revered as a dwelling place of the gods, and the seat of the High Kings from the times of the mythological Fir Bolg and Tuatha De Danann, Tara was one of the most venerated places in early Ireland. 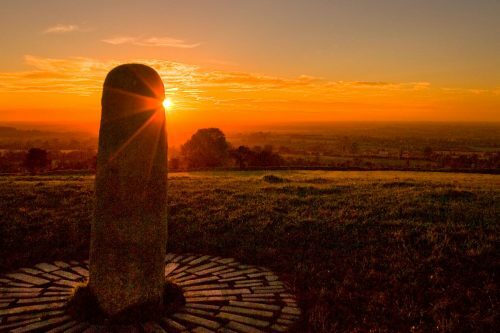 In the legends of St Patrick, it is said that one of the first things he did was to come to Tara to confront the ancient religion in its most powerful site. Tara has been famous for its intrinsically strong ‘earth’ energies for over 4000 years. 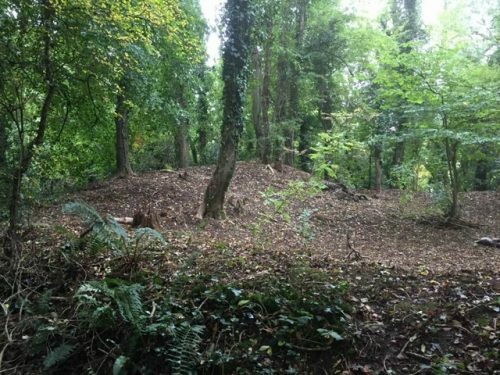 The remains of huge circular earthworks that were used mainly for rituals in prehistoric times can still be seen, and there are energy lines that connect this site to other sacred sites nearby. 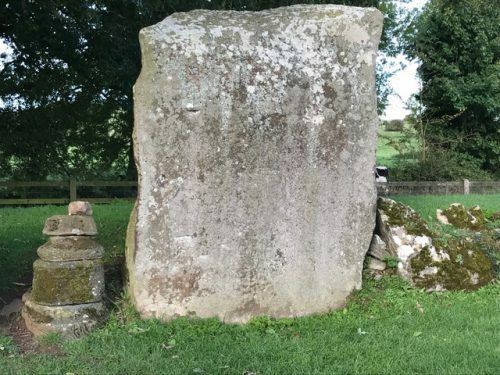 In the middle of the Royal enclosure is a standing stone said to be the ‘Lia Fail’, otherwise known as ‘The Stone of Destiny’ – the inauguration stone of the High Kings and High Queens. 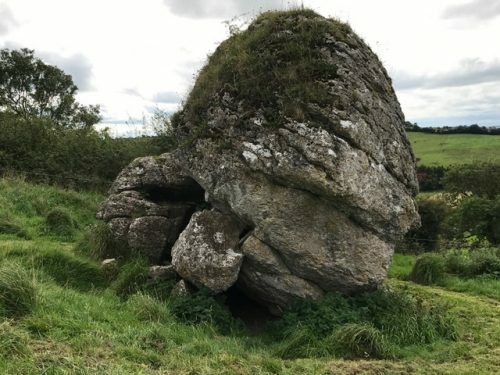 Legend has it that after a series of challenges met by the would-be king, if the true king touched the stone it would roar three times with a screech that could be heard all over Ireland . The King was also required to symbolically marry the goddess Maeve in order to qualify for high kingship. 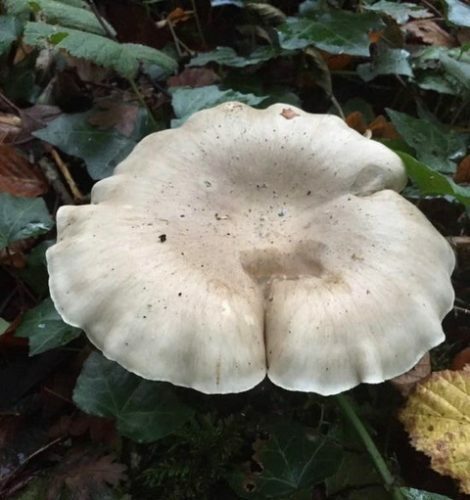 We will celebrate our visit to this ancient centre of power and spirituality with a ceremony to honour the ancestors of this sacred place, as well as our Irish Faerie brethren, the Sidhe, whose presence can be felt very powerfully at Tara. As we stand in one of the Earth’s most potent power nodes, hearts and minds joined together with focused intention, the opportunity for transformation will be ours for the asking. Today is our last full day together so it’s time to have some more ‘earthly’ fun! Departing Trim at 9.00am, we head for Dublin. Our first stop will be the incredible ‘National Archaeology Museum’. 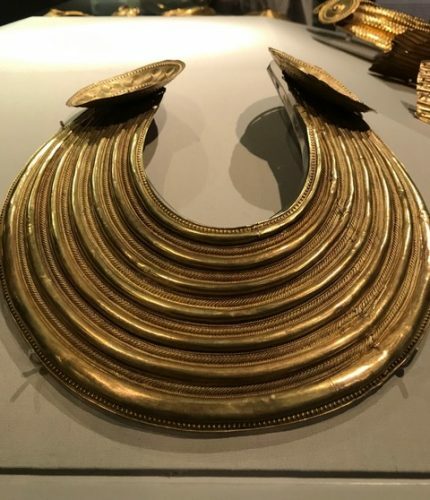 Visiting the museum brings us full circle as it houses many of the original artefacts discovered in the ancient sites we have visited, including a vast array of jaw-droppingly beautiful, burnished gold jewellery. 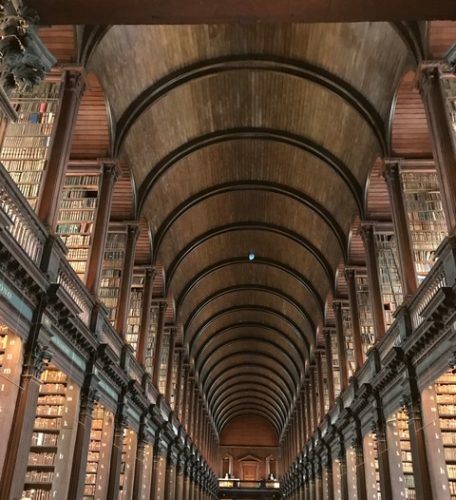 Take a short bus ride to visit Christchurch Cathedral (dated 1030AD); feed the ducks and swans in Stephen’s Green; do some shopping for those last minute mementos and gifts, or or just ‘hang out’ over coffee and be inspired by the amazing buskers on Grafton Street. Our day will conclude with a fabulous farewell dinner that will include lively entertainment, Irish music, and dancing! This morning we farewell those leaving our ‘Mystical Ireland’ tour here. We say goodbye with hearts full of gratitude for all we have experienced together, before going our separate ways to our next destination or home city. For those wishing to embark on some further adventures we are offering a fabulous 4-day Extension! 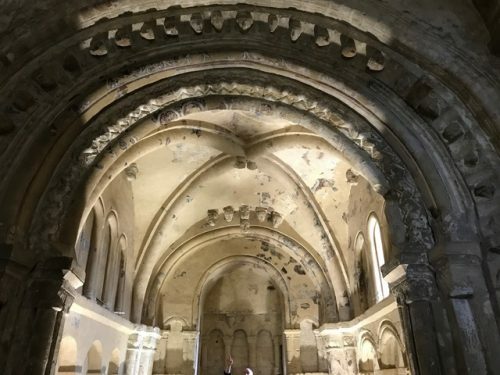 This will include private access to a number of awe-inspiring, hidden gems not usually accessible to the general public, as well as visits to two more of Ireland’s ancient Royal sites. For three out of the four nights we will be based at the ‘Horse and Jockey’ hotel in Co Tipperary. The hotel, which gave the village of Horse and Jockey its name, is steeped in history, and has been continuously trading for 250 years. It stands at one of the great traditional crossroads of Ireland. For our fourth and final night we will return to Dublin to stay at the luxurious Crowne Plaza Hotel at Dublin Airport. At 9.30am, after one of the best hotel breakfasts you are ever likely to have, we depart the Crowne Plaza Hotel, Dublin Airport for our 2-hour journey to Co Tipperary. We arrive at the wonderful ‘Horse and Jockey’ Hotel well in time for you to check in and have lunch at a leisurely pace, before departing for our magical afternoon at Fethard. 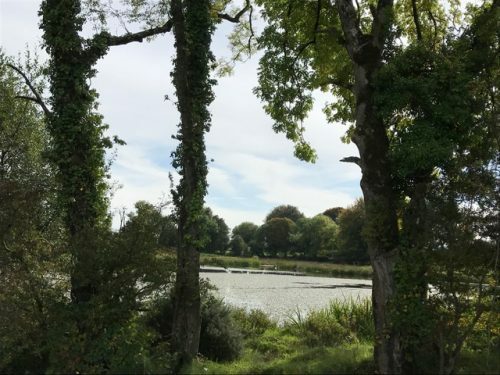 We have been granted exclusive access to a stunning, private Faerie Fort hidden amidst the lush lands of Fethard. There, we will spend the afternoon communing with the Irish Fairy Folk, the Sidhe, through storytelling, song and ceremony. This promises to be an experience you will carry forth in your heart forever. At 9.15am we depart for a spiritual sanctuary hidden away in the rolling pasturelands of Tipperary. Visiting this 8000-year-old Royal site with it’s ceremonial tree-lined walking embankments, bronze age cooking sites, the stone seat of the Goddess, fairy ring forts, and burial mounds, and it’s huge heart shaped, acoustically charged, ancient amphitheatre where pilgrims, priests, priestesses, kings and queens would have carried our their ceremonies and inaugurations, is a totally unforgettable experience. The astounding quality and range of the acoustics in the Royal enclosure, underwrites the ancient secrecy and ritual activities associated with this place. 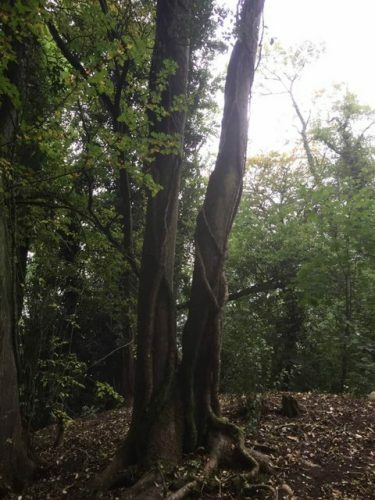 The site is embedded within over 70 acres of beautiful ancient woodland, originally planted by the Butlers of Ormond. Two ancient manmade lakes on the property are home to a family of swans. Since inheriting the site from his uncles, our host has meticulously researched and restored it. In the process he has unearthed many artifacts that have shone a light upon its ancient past, which has resulted in the site’s antiquity being verified by scholars at Trinity College Dublin. This Royal sanctuary has a most unique array of fauna, preserved intact due to sensitive, traditional, organic farming practices, which also highlights the status and significance of the place . 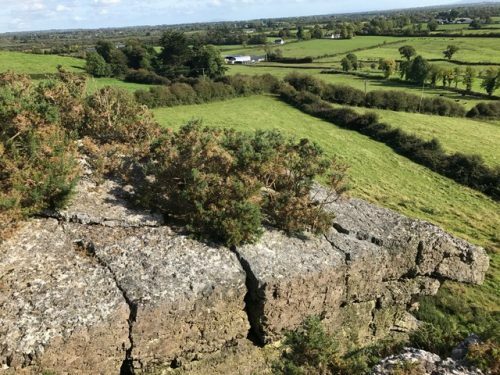 Very few people have had the privilege of being invited to experience this hidden treasure, which has an intriguing connection to the Egyptian High Queen of Ireland, Tea Tephi. For me personally, my visit to this incredible place had more impact upon me than almost any of the Irish sites I have visited. 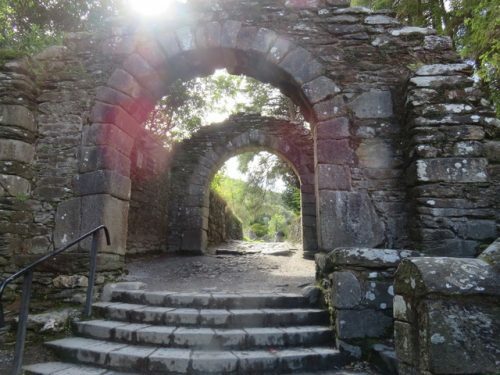 In the afternoon, our host will take us to another adjacent, ancient hidden gem, that significantly underpins the theory that the ancient site where we spent the morning is in fact, one of Ireland’s most important Royal sites. 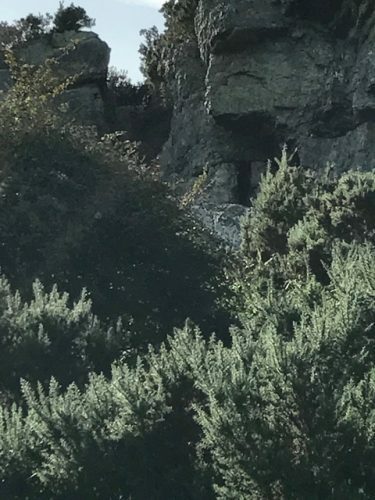 Here we will see a massive stone Dolmen tomb which is so big that most people assume it is a cliff! This is a secret place, overlooking a breath-taking 360-degree panoramic landscape – a place of great power and beauty, as yet undiscovered by tourists. We will conclude our amazing day, by going out on the town for dinner! We’ll venture forth from our hotel to experience some great local food, accompanied by some foot-tapping Irish music! Today we visit the Rock of Cashel, another one of Ireland’s six Royal Centres. 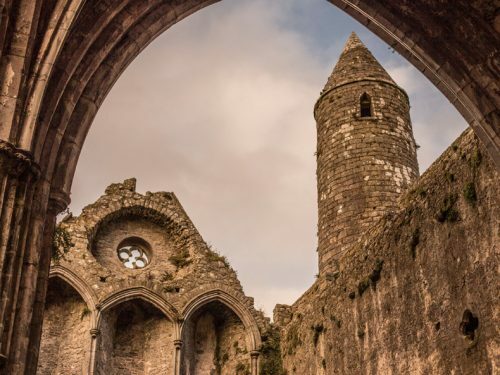 The Rock of Cashel is a huge, complex, and iconic site with one of the most remarkable collections of Celtic art and medieval architecture to be found anywhere in Europe. Often seen shimmering aloft like a mirage through the Irish mist, some say there is nothing like it anywhere else in the world. For lunch, we’ll cross the Tipperary/Limerick county border into Bruff, after which, we will make a visit to the wonderful Lough Gur Heritage Centre, located on the shore of the horseshoe-shaped lake Lough Gur, an area of extreme natural beauty that is also one of Ireland’s most important archaeological sites. 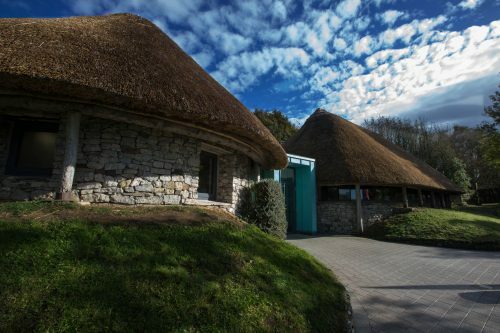 Encompassing over 6,000 years of living history, and with numerous megalithic remains, this is the only area in the country where you can see visible evidence of every age since Neolithic times. Most intriguingly, Lough Gur is reputed to harbour a magical realm beneath it. The lake and the surrounding area, has long been associated with the Goddess Ãine. We hope that she will bless us with her presence on this visit. 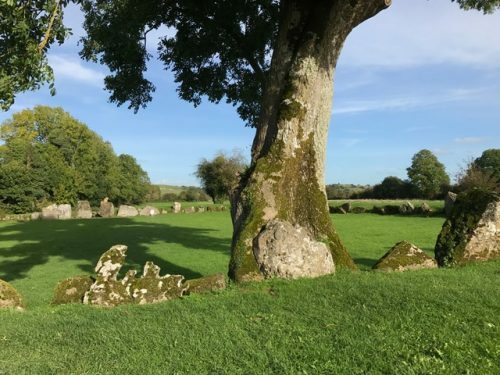 Then, just when you thought the day couldn’t get any better, we’ll take you to Grange Stone Circle, located just a few hundred metres away from beautiful Lough Gur. Grange is Ireland’s largest stone circle. It features 113 standing stones and is 150 feet in diameter. The largest stone is over 13 feet high and weighs 40 tons. 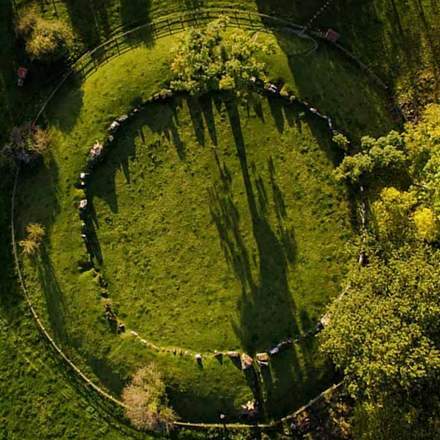 Grange Stone Circle is truly extraordinary in its sense of power, peace and beauty. It is the perfect place for us to lie on the earth, or sit with our back against one of the enormous Stone Beings, to absorb their energy, and integrate all that we have been experiencing. 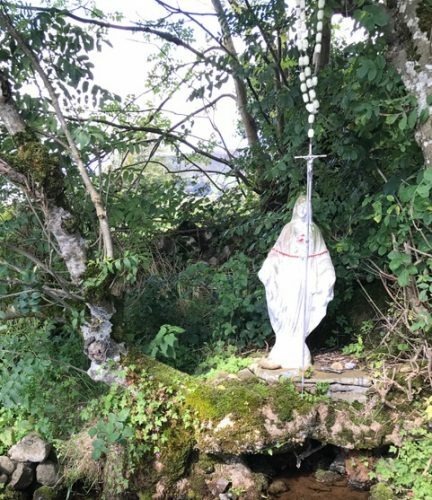 A recently discovered, perfectly preserved Cathar Cross has been found on private land beside a beautiful Holy well near Cahir. The last of the French Cathars had been well and truly exterminated by the Church by the end of the 14th century. 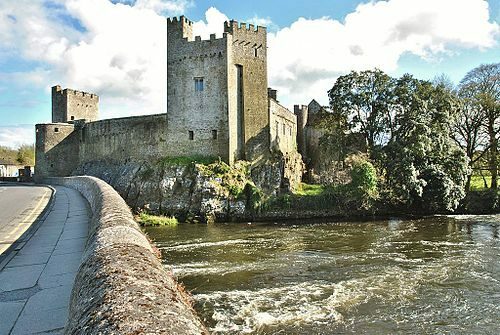 To find evidence of their presence in Ireland therefore, and particularly in this region where the town of Cahir is clearly named after them, raises many very interesting and intriguing questions. 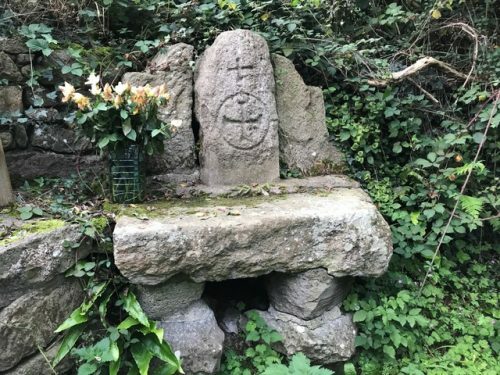 We have been invited to visit this sacred Cathar cross and Holy Well, by the farmer upon whose land they sit. Spending meditative time in this beautiful and tranquil setting that is steeped in such potent history, will be a most fitting way to conclude our spiritual pilgrimage. Before getting on the road to Dublin we will make a visit to Cahir Castle. Once the stronghold of the powerful Butler family, the castle retains its impressive keep, tower and much of its original defensive structure. 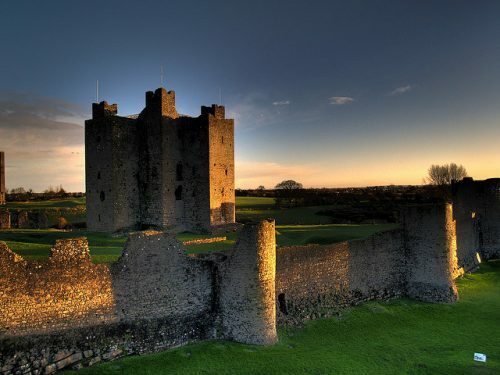 It is one of Ireland’s largest and best preserved castles, situated on a rocky island on the River Suir. Upon arriving back in Dublin in the early afternoon, the rest of the day and the evening are yours to do as you please! 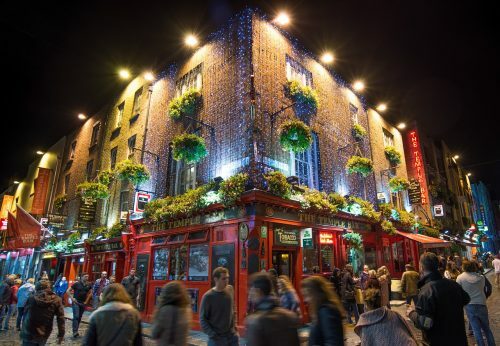 Head into nearby Dublin city centre for some shopping; take in a play at the world-renowned ‘Abbey’ or ‘Gate’ Theatres; and/or have a final night out in one of Dublin’s many fine restaurants. The vibrant world of Dublin is your oyster! Today is departure day. After a scrumptious Crowne Plaza breakfast, we say our final farewells and part from each other with full hearts, grateful for all we have experienced. We are family now, and hopefully, for some of us at least, this has been but the first of many adventures together! Our ‘Mystical Ireland’ Tour has been a journey into the heart and into the soul…a magical ‘Journey of Love’. 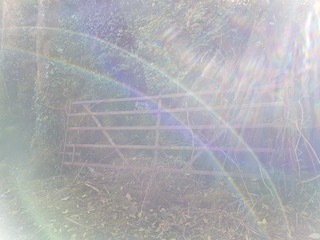 This spectacular Rainbow gate photo was taken during our ‘Mystical Ireland’ 2017 Tour, immediately after we did a ceremony to open a Faerie Portal. The Sidhe were very happy it seems! 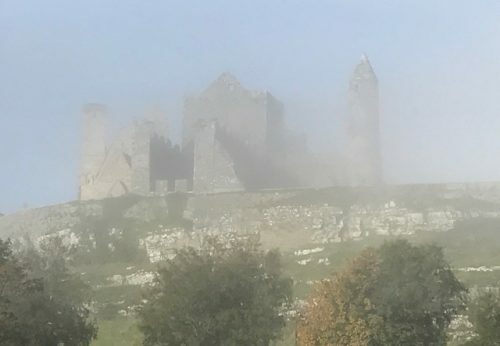 If you’d like to read about the kind of experiences people encountered on Lia and Stephanie’s 2017 ‘Mystical Ireland – Land of Faeries, Saints & Scholars’ Tour, just click on the link below! Join our Mystical Ireland 2018 Facebook Page! **The inclusion of dinner every night of our ‘Mystical Ireland Tour’ is exceptionally generous. Most tours only offer dinner on a few nights, if any at all. 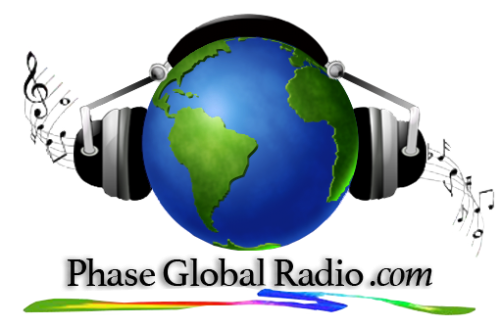 This means that all your major expenses are included within the tour price. The only additional daily meal charge you will incur is for a snack lunch. 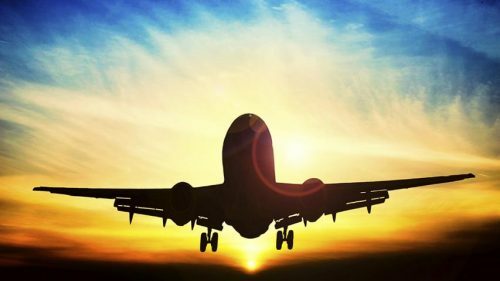 Whether it’s your trip, your possessions, your luggage, or your health, travel insurance, and most importantly the right kind of travel insurance, has become an essential item to pack for smart travelers. If you don’t buy the right Travel insurance, more than your trip could be ruined.